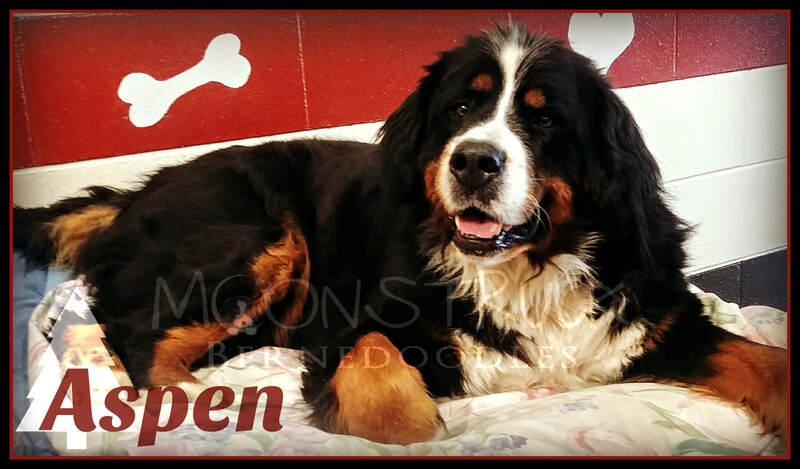 Aspen is a very sweet and social Berner girl who wants pets from everyone she meets. Aspen is a moderately active girl, content to go out for long walks or be a lazy, floor decoration. She gets on well with ALL animals: cats, dogs, chickens, goats etc. She regularly attends doggy daycare. She loves children and follows them anywhere they go. Aspen has a cheeky side too, playing keep away and tug when she can get away with being a sass-monster! Our Aspen is the beautiful embodiment of everything a Bernese Mountain Dog should be and more. We just adore our giant girl to the moon and back!